CARACAS, March 26. /TASS/. Venezuela has been left without power for the second time in 24 hours following an act of sabotage at the Simon Bolivar Hydroelectric Plant, the country’s Communications Minister Jorge Rodriguez said on Tuesday, as cited by the Venezolana de Television TV channel. According to Rodriguez, the blackout was a result of "an attack on the Simon Bolivar Hydroelectric Plant" that took place on Monday night. "Power lines were damaged," the minister said. Rodriguez emphasized that "the country’s authorities are assessing the damage." He did not say how many Venezuelan states had been left without electricity. 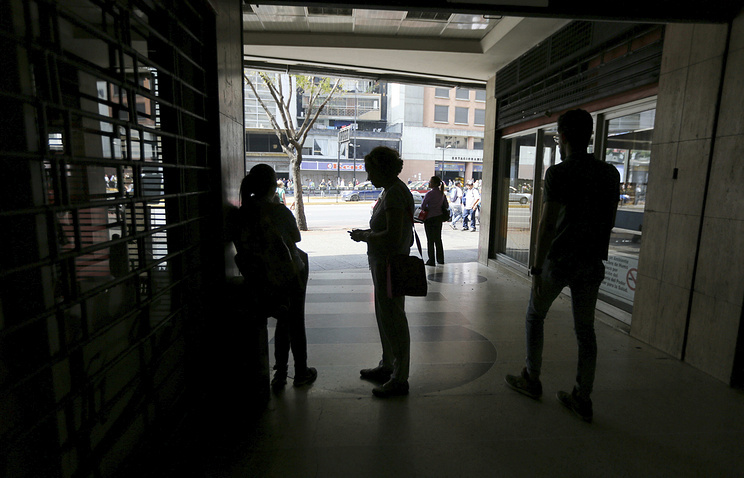 On Monday, Venezuelan opposition leader Juan Guaido said that a new power outage had affected 17 of the country’s states. Rodriguez later blamed the government’s opponents for "attacking the national power grid" and announced that power supplies had been restored to almost all of the country. The Venezuelan capital of Caracas and 20 of the country’s 23 regions were first left without electricity on March 7. The National Electric Company said the blackout had been caused by an accident at the Simon Bolivar Hydroelectric Plant, which Venezuelan President Nicolas Maduro blamed on "US imperialism." However, the US Department of State denied any involvement.